The Disinfecting Filtration SystemTM (DFSTM), the world’s leading air cleaning technology, was developed from U.S. germ warfare research. 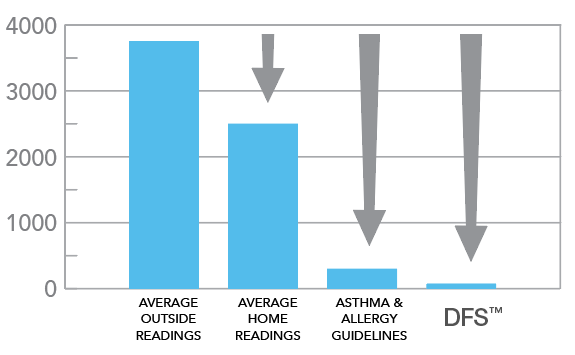 DFS removes 99.99% of airborne particles down to 0.007 micron ~ 40 times smaller than HEPA (0.3 microns). DFS medical-grade technology can give you 90% cleaner air in as little as 30 minutes.